Girls, it’s time to take back control. 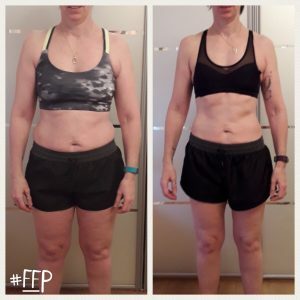 The #FFP is built on making long term lifestyle changes and not just how quickly we can get a set of abs. It’s about providing you with the information, support and motivation so you can create healthy and sustainable habits. It isn’t just about looking great – it’s about finally starting to feel as amazing and beautiful as you deserve. Join us now for £119! All with unique goals and starting points. 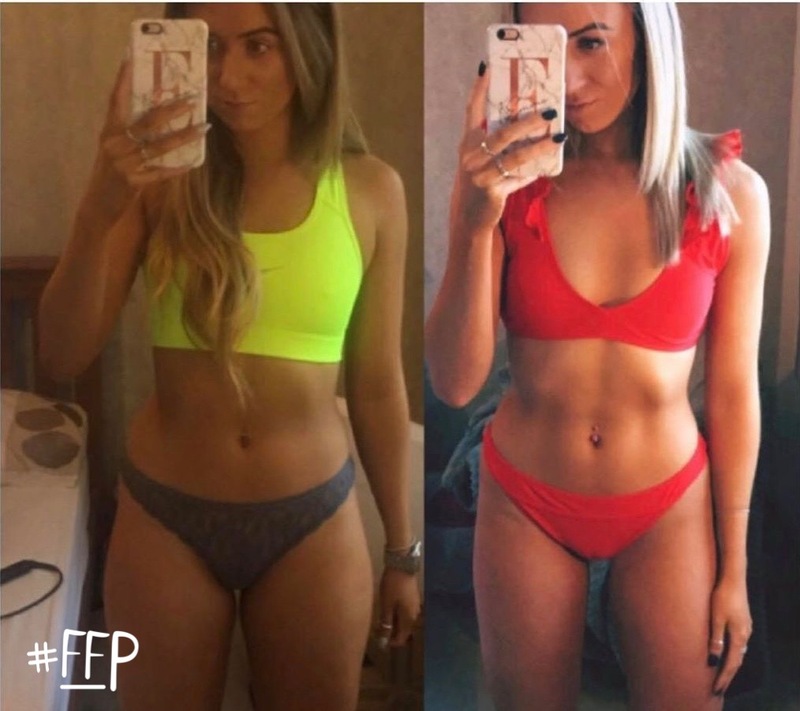 All united in their mission to feel strong, happy and body confident. We all come in different shapes and sizes and we’re all likely to change in different ways. 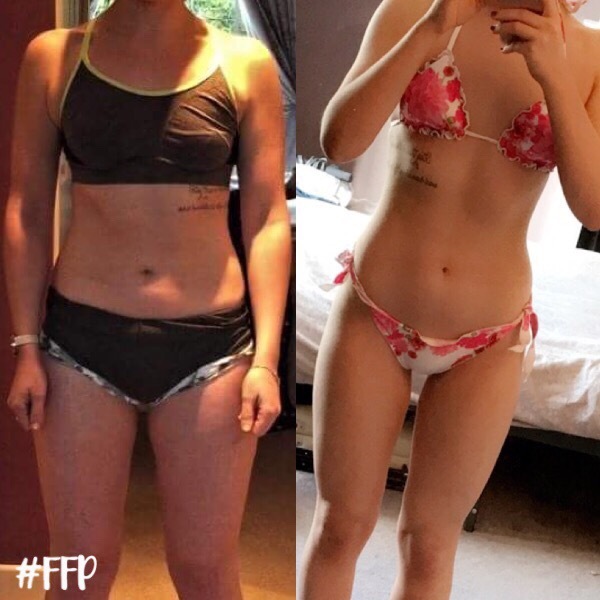 This is why in the #FFP is designed to support you and your goals. 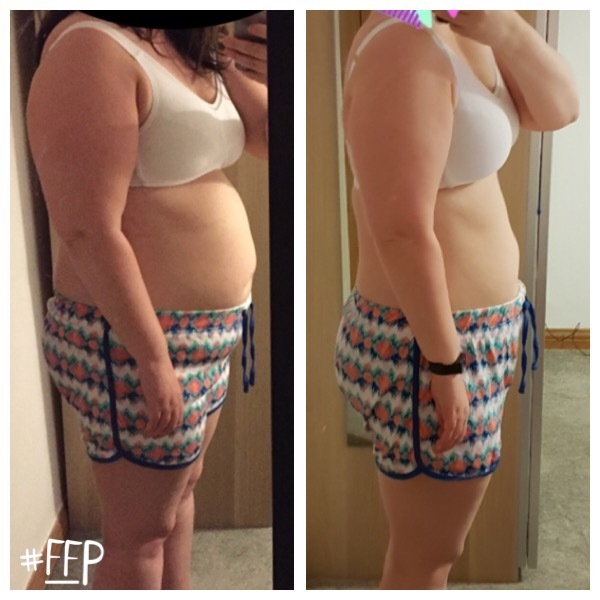 Check out some of the team’s fantastic results below – it’s all about making long term lifestyle changes! 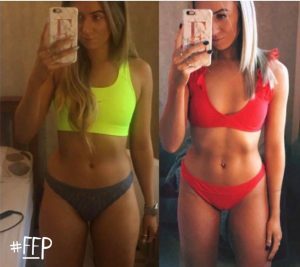 “After watching Leanne’s YouTube videos she came across as very down to earth and honest about getting results. Through the FFP I have learned that I don’t have to stuff my face every meal, that I can push my body in the gym and to stop staying in a comfort zone and when they say when you get older it’s harder to lose weight, it’s a load of rubbish! The biggest challenge for me is changing my mindset and thinking more positively about myself rather than finding faults all the time. My goal was to sort out my legs, which have always depressed me. I wanted to feel comfy in shorts so I couldn’t only wear them in the garden. I have since taken the dog a walk wearing them, which is a big step for me. "When they say when you get older it's harder to lose weight, it’s a load of rubbish!" "I feel so much more comfortable in myself than I did at the start of the programme"
"I was really happy to see how far I have come, mentally and physically"